You know, Thirsty Thursday, Thankful Thursday, Throwback Thursday, and now 3rd THURSDAY!!!!!! 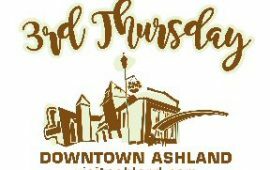 Downtown Retail Businesses will be open until 8pm on the 3rd THURSDAY of every month, with specials!! Bargains!! Fun!! An evening of shopping!